1. WHAT ARE NONOMATERIALS ? 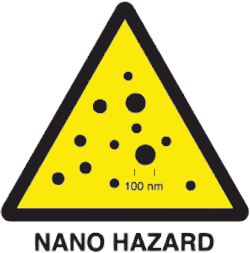 A single particle of a nanomaterial, has an average size between 1 to 100 nanometres (nm), which is extremely small. 1 nano is regarded as equal to the distance across three atoms. Some nanomaterials are special coatings use to protect surfaces and resist damage. They can be used on; Sporting equipment: Golf clubs, tennis racquets, lacrosse sticks, socks and phone displays. These are materials with a nano-grain size of less than 100nm. 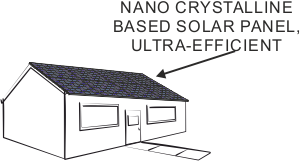 One practical application is in ultra-efficient solar panels, manufactured from nano-crystalline materials, converting sunlight into electricity, very efficiently. Quantum Dots are minute particles with unparalleled electronic properties, sometimes referred to as semiconducting nanocrystals. Each liquid below, has a different proportion of two types of semiconducting nano-crystals, dissolved in a liquid. As a result, a range of photoluminescent colours are produced. They have a potential role in medicine, as sensors inside the human body.